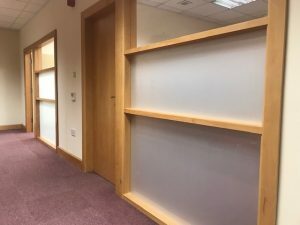 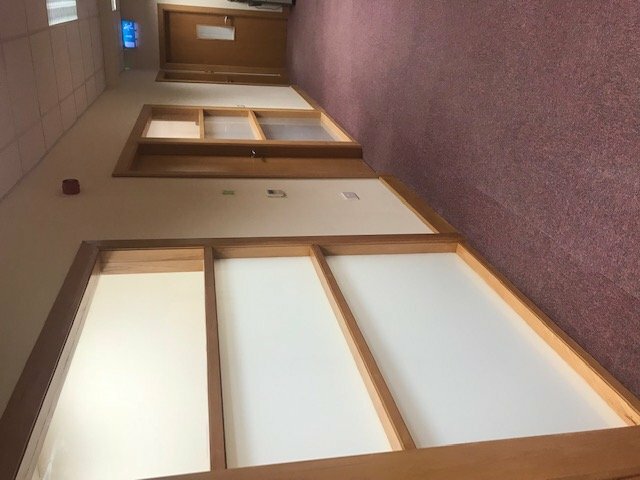 We recently completed some commercial Office refurbishment and renovation for MABS in Letterkenny. 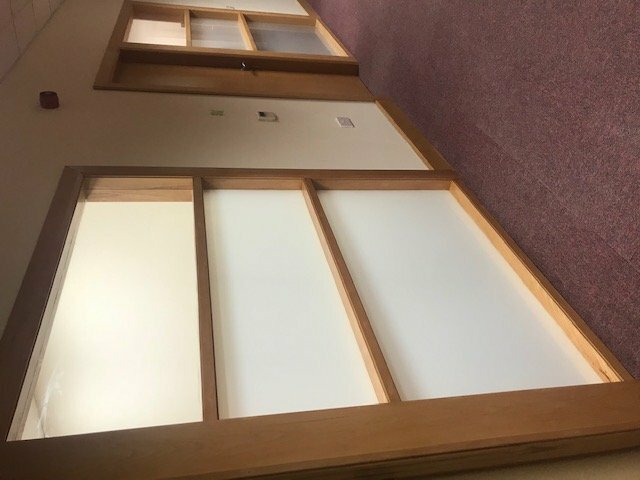 Frosted glass with custom beech carpentry panels to match the existing office, which we did some time ago. 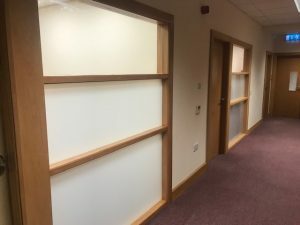 And we added sound proof plaster board on partition walls for privacy and noise reduction. Plus we added new LED lighting. The whose job looks as if it had been there since the start, so the client is happy.